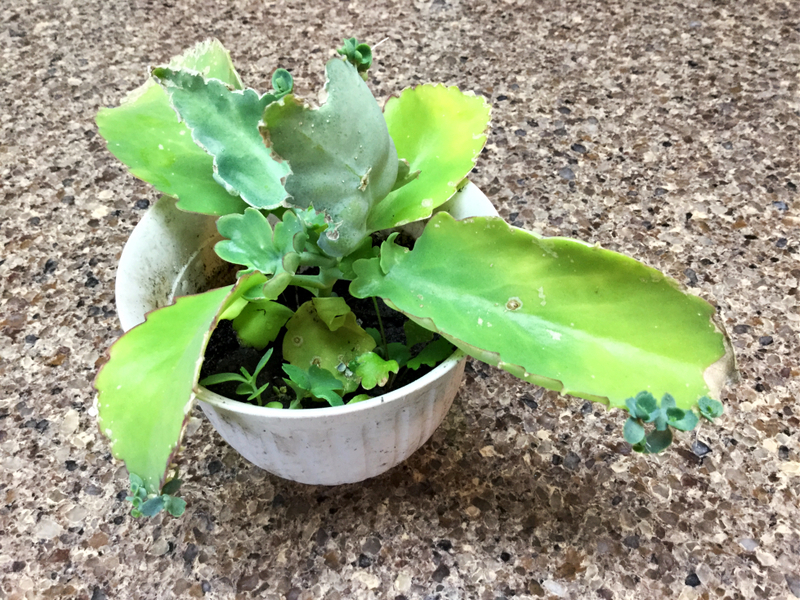 We’ve all picked up a cute little succulent from the garden centre or grocery store, only to have it die a horrible death a few months later. How could this happen? Succulents are supposed to be easy!! While succulents don’t require as much maintenance as other plants, they’re not fool-proof. 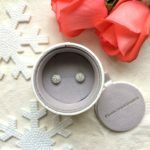 Here’s what you need to know to keep yours alive and thriving over the winter months. Disclaimer: I garden in zone 3b on the Canadian Prairies. 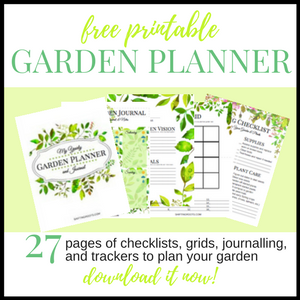 While I make every effort to make my advice as applicable to as many people as possible, growing conditions in your area might be vastly different. 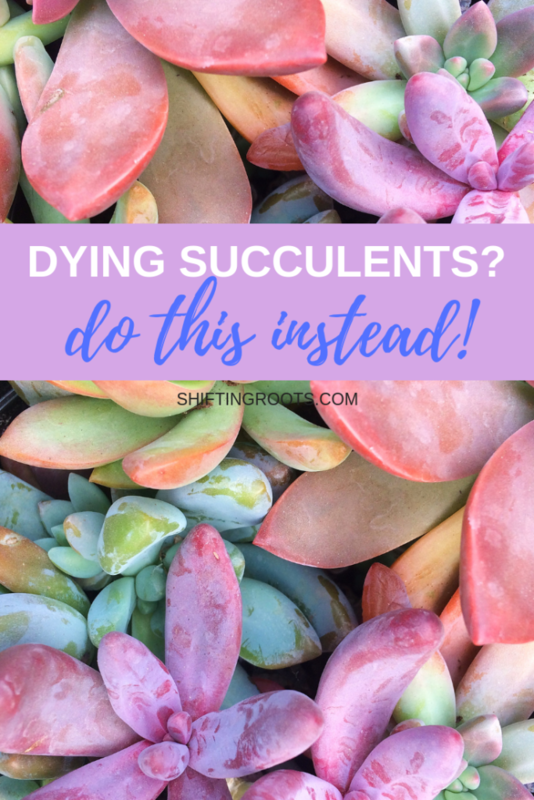 However, I love to hear from readers in other areas, so let us know in the comments if there’s a different way to keep succulents alive where you live! 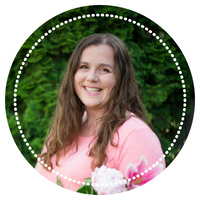 If you like videos better than blog posts, here’s a Facebook Live I did recently that goes over most of the points I’m writing. Scroll on if you prefer reading. Succulents love the sun! 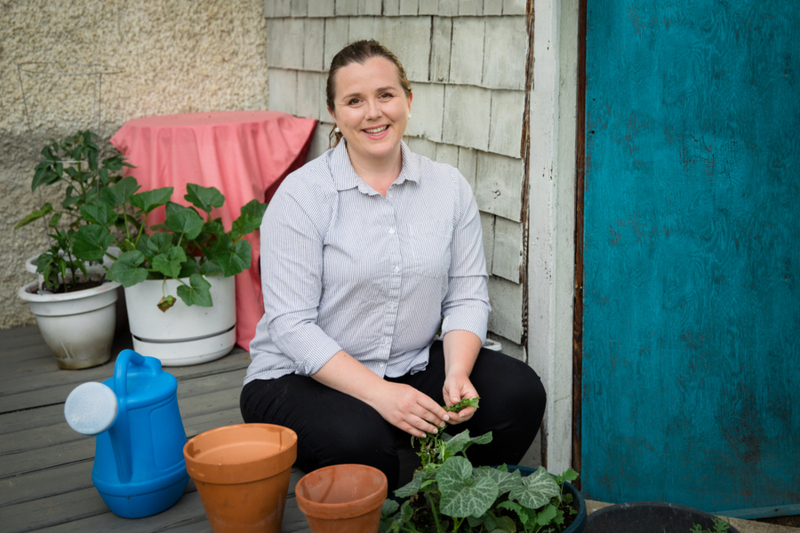 While it’s true that some varieties need less light than others, if you live in a Northern climate and are trying to keep succulents alive over the winter, your best bet is to keep them as close to a south facing window as possible. 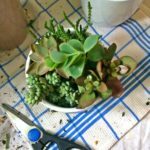 One of the biggest reasons your succulent will die, is that you wanted to place it on your dining room table or coffee table as a centrepiece. Unless you have plenty of windows in the room, or your table is right up against the window, your plants will die a slow death over the winter because they simply can’t get enough light. Succulents only need a light watering once a week, or even every two weeks. My succulents have survived just fine for a month without water, although if I go that long without watering, I give them a lot of water to make up for it. If you you’ve watered so much that the ground looks saturated and water is sitting on top, you’ve watered too much. Succulents can survive a watering like that, but not if that’s how you water them every week. 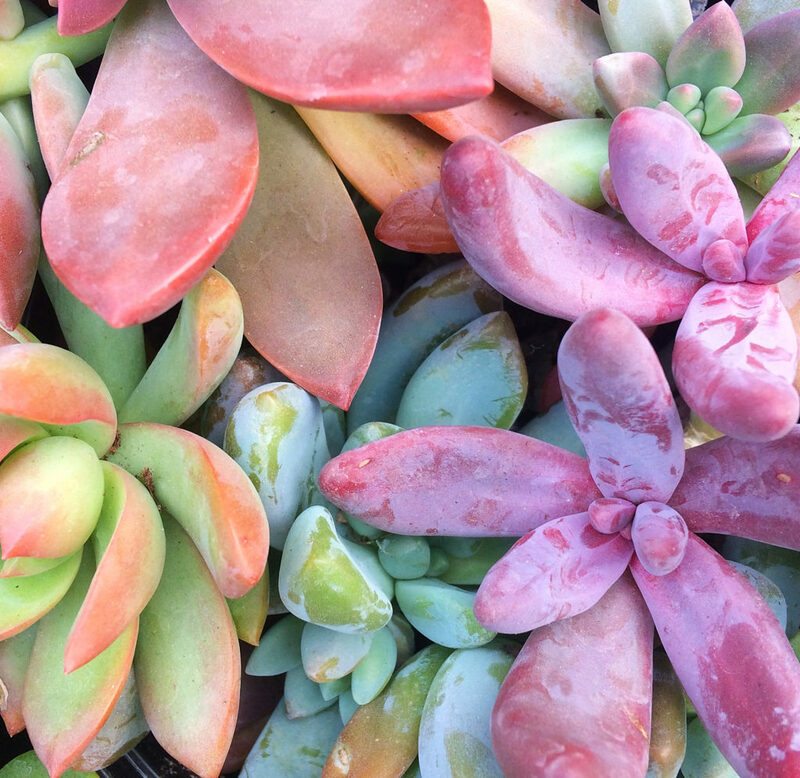 Pro tip: for happier succulents, let the water you plan to water them with sit out overnight. It will better mimic the fresh rainwater they love. Sometime in February or even late January, your succulents will look like they’re ready for the compost pile. Don’t worry, you didn’t do anything wrong!! This a natural part of their life cycle. 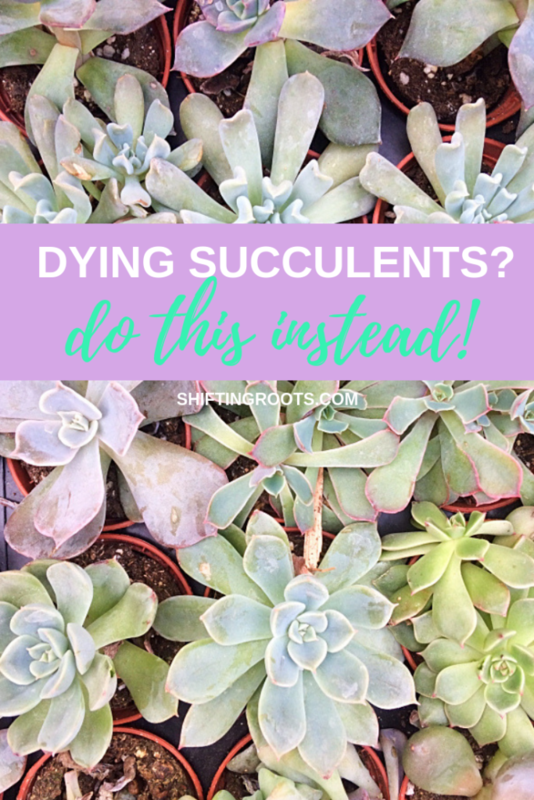 All you have to do is clean them up, re-pot them, and use any fallen or sad looking leaves for new succulent babies. 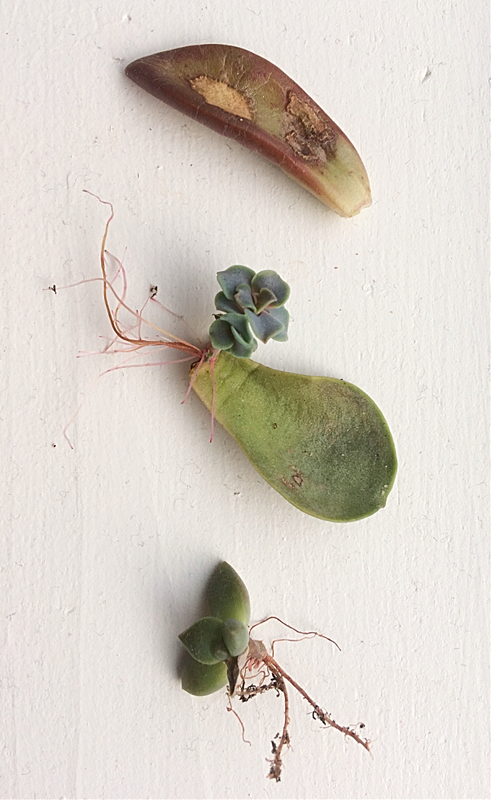 Propagating succulents is one of the easiest gardening chores you can possibly do. Take off a leaf and set it on the soil. That’s it. After a few days or weeks, some roots will start to grow and a new little succulent will have started to form. Once the parent leaf dries up put your new little succulent in some soil. Done. 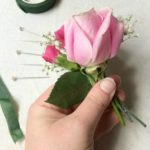 You can also just cut off the stem of a larger succulent and set it in the ground. The succulent will continue to grow. 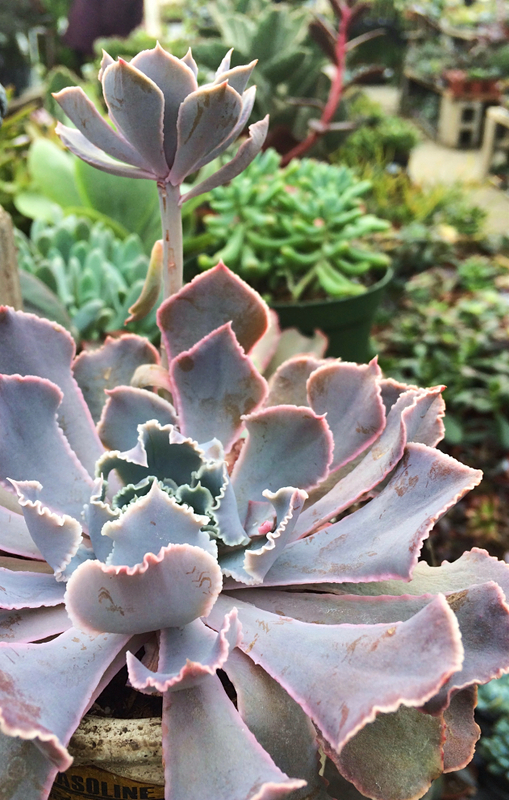 Some succulents, like this one below, make it even easier to grow a new succulent–just lift off the babies when they look big enough. Thanks to my Aunt Bev for sending me this picture of her succulent. Just lift off the succulent babies at the edge of the leaves for a new succulent. 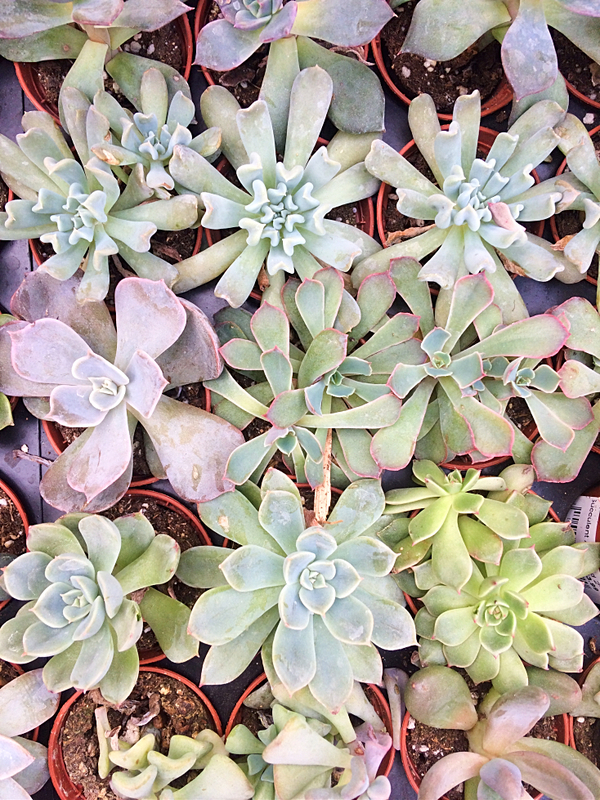 Once you clean up and propagate your succulents for the winter, they should look great until they are ready to go outdoors for the summer in May. If you hope to get larger succulents over the summer, leave space in-between plants so they have room to grow. If you pack them too tightly they won’t get much larger. Succulents like it hot, but they don’t like it burning. The leaves can burn if you put them in a location that gets intense heat for most of the day. I have a south facing deck that gets no shade and is very sheltered from the wind. I made the mistake of leaving my succulents there this summer and they did not do well. Finally, don’t put brand new succulent babies outside for the summer. They will die. If you’ve had better success with this, please let me know your secrets in the comments.